Our free plastic moving box offer allows you to have the use of our boxes for up to 14 days in total, We will deliver for free our eco friendly plastic moving boxes prior to your move (see below for terms and conditions) During our online booking process you will be able to select the most suitable 3hr delivery window for the boxes to be delivered. We also have other packing materials available upon request such as bubble wrap, butchers paper and wardrobe boxes. All of which will be conveniently delivered to your door. Our boxes are strong and lightweight, easily stackable and don’t require taping shut, simply close the lid. Our boxes can be re-used up to 500 times, saving many cardboard boxes from landfill. These boxes not only provide you with an easy way to pack, but also save you time and space when it comes to the move. Arriving on time and ready to work our experienced team will get your belongings from A to B safely and efficiently. Our trucks come fully equipped with trolleys, blankets and straps. On moving day the benefits of our boxes will shine, with the ability to easy trolley multiple boxes and stack neatly and compact into the truck. Our boxes will save you money! Once you arrive at your new home, take a few days to unpack. Our boxes stack neatly without taking up space. Simply flip the lid open, no cutting tape and no more paper cuts! Once your move has been completed, we will collect our boxes 7 days after your moving date. If you have previously used cardboard boxes, you would have had experience with how wasteful and bulky the disposal of cardboard boxes are – most boxes end up in landfill. Instead, our plastic boxes simply return back to base for a quick clean before being used over and over again. Happy with the way our system worked for you? Leave Us A Review! Please contact us if you have any questions regarding the following information. Men that Move believes in “Our System” and is focused on transforming the removalist industry into a greener and more eco friendly industry. Therefore will always try our best to make the free box offer available to all our customers. – Bookings must be made 7 days in advance to qualify for free box promotion. – Boxes will be delivered a maximum of 10 in advance, with collection of boxes no more than 7 days after the move. Fees may apply to customers who do not have boxes ready for collection within the 7 days time frame. – After speaking with the customer, Men that Move will try and determine the appropriate number of boxes needed. Fees may apply to customers requesting the incorrect amount of boxes and requiring additional deliveries. – Fees apply (based on Pick up location) to customers who arrange a collection of boxes but do not have all boxes available and present when Men that Move arrive to collect. Check this box to confirm you are human..
5 Of 5 based on 14 reviews. I would like to thank the Men that Move team for the services they have provided to me in past. I have done two inter statement movements, SYD to BNE and return in very cost effective manner. Though the team operate mostly over emails, they are very reliable and give us complete peace of mind. What can I say, The easiest and most efficient moving company I have ever dealt with.The guys on the phone, the booking system, the delivery of crates, updates on timings are impeccable.Will be using Men that move every single time.Thanks for making this nightmare a dream! 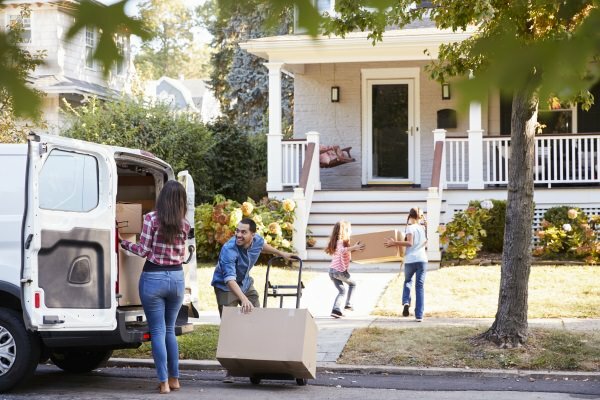 By the time I got to my third move in 3 months I was completely over it, but it turned out not to be such a pain after all because Men that Move were excellent and got it all done super fast and without hassle. Mike from Men that Move was efficient, pleasant, helpful and completely professional. If/when I move again, I'll never use anyone else. Very happy with MTM service - team is very friendly and accommodating to all our special requests. The move was very quick and professional - crew arrived on time and everything was loaded and unloaded without delay. Getting free plastic boxes with the move helped with much of the packing stress. Also pointing out that everything arrived in one piece with no damage to any of our furniture as things were handled with care. Would highly recommend and use again! A one bedroom apartment moved into storage in a matter of hours and such a pleasure to deal with! Damien was lovely and efficient and has really big muscles which help when you're a little girl trying to carry a bed. The whole process was smooth and easy - definitely recommended!